Rich and decadent with a cream cheese frosting, most people would not think of carrot cake as being vegan-friendly. 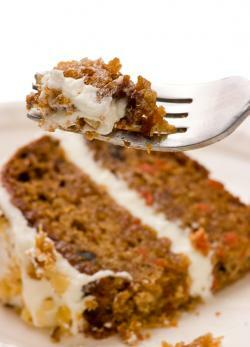 However, there are some vegan carrot cake recipes available that will allow you to have your dessert and eat it too. 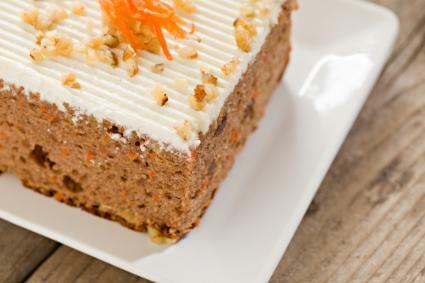 This recipe gives results that are similar in taste and texture to standard carrot cakes. Mix in the oil, pumpkin, vanilla, carrots and nuts. Stir well to combine. Pour into a greased 10 x 9-inch cake pan and bake for 50 minutes at 325 degrees or until a toothpick inserted into the center of the cake comes out clean. Beat on high for two to three minutes or until well combined. The addition of shredded coconut to this carrot cake adds additional flavor and depth. Add the oil, carrots and coconut to the mixture and stir. Add the orange juice and stir well to combine. Pour into a greased 9 x 9-inch cake pan and bake at 350 degrees for 45 minutes or until a toothpick inserted into the center of the cake comes out clean. Beat on high for two to three minutes. 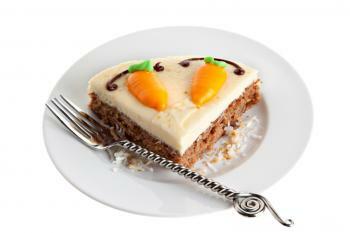 Carrot cake is a universal favorite and not a recipe many people may think of as vegan. Try making one of these delicious and surprising vegan versions to share with your friends and family or whenever a special occasion arises. You'll be happy you did.